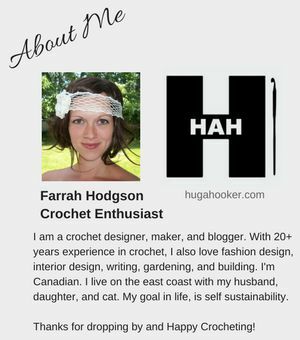 I've bought a new house recently and since I've been here, I've already been thinking of ways to implement crochet decor, and here's one of my near future projects! 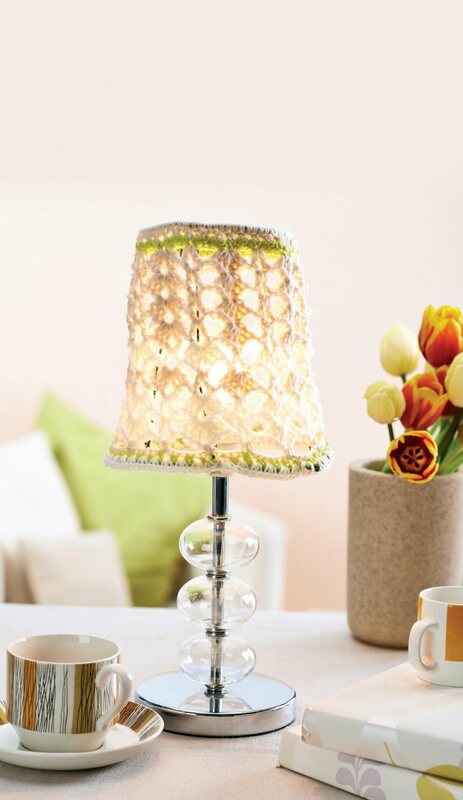 Besides illuminating beauty from these elegant lampshades, they are unique and can be custom made for you! Here's a fun project to make for your pets! 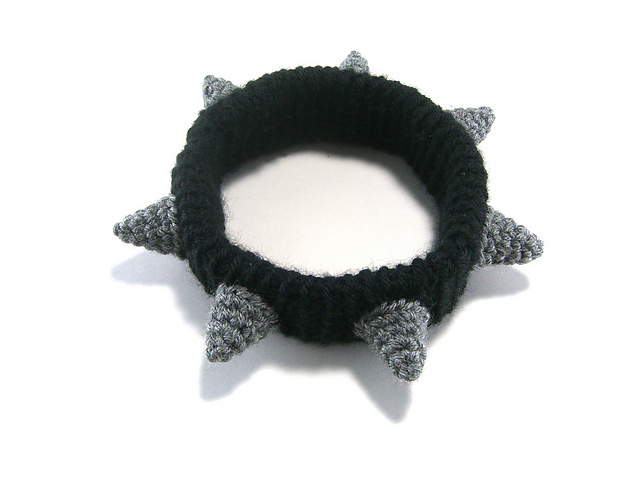 Make your dog look like a tough guy with this crochet fauxe spiked collar; or in my case, I could try to make my cat look like a touch feline (although she would really dislike me for putting anything around her head!) 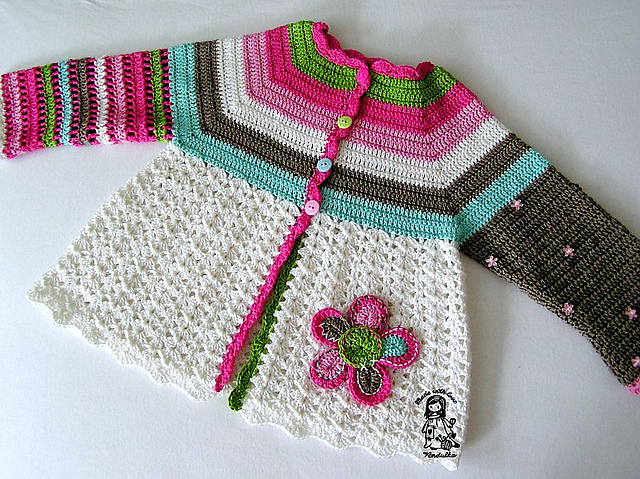 This cute collar pattern uses a small amount of yarn and can be constructed in a short time, so give it a try! Size: After blocking (approximate) 22” wide by 75” long. Crochet baby bonnets portray such elegance and look absolutely adorable adorning a baby's little head. This cute bonnet uses shells and color changes to give this "candy" themed look as the title says, but you can also make this in any color theme or all in one single color. Super cute! You've probably already seen the Mermaid Lapghan, now here comes the Shark Lapghan! This pattern originates from the same designer and does not fail to disappoint! This cute cocoon style blanket includes a tail and fin, along with the eyes and color change for the teeth to bring this oceanic beast to life! Grey yarn (Red Heart I Love this Yarn.) 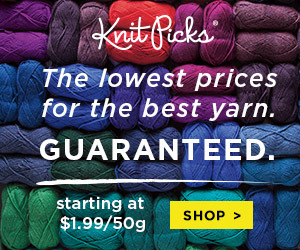 Roughly 4 skeins of grey. 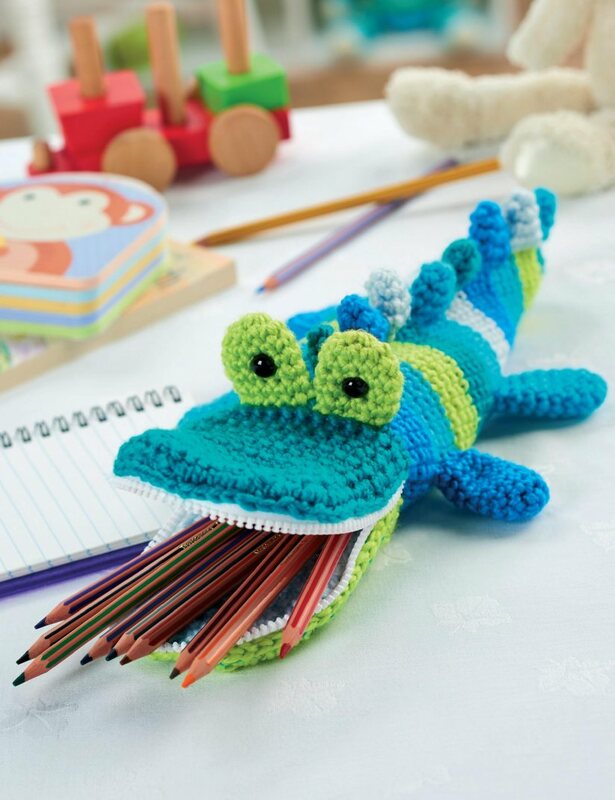 It's almost back to school time for most kids, so make them something heartwarming and fun to take along to school with them, like this adorable crochet crocodile pencil case! And maybe you don't need to be going back to school to make one of these, they are simply awesome just to have for yourself. Drops Muskat from Garnstudio8 00 g col. no. 08, natural white. Here's something a little different today, and I think it's beautiful! 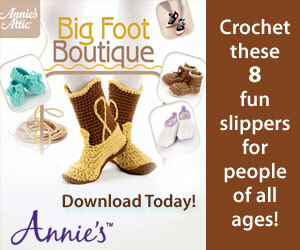 By using crochet motifs and joining you will create this lacy and intricate design. You could use this for wearing at home, or why not line it with fabric and wear it to the beach?! The designer gives a photo tutorial on how to complete this pattern. Chart reading skills are a bonus, if you've never read charts before; well, here's a great start! 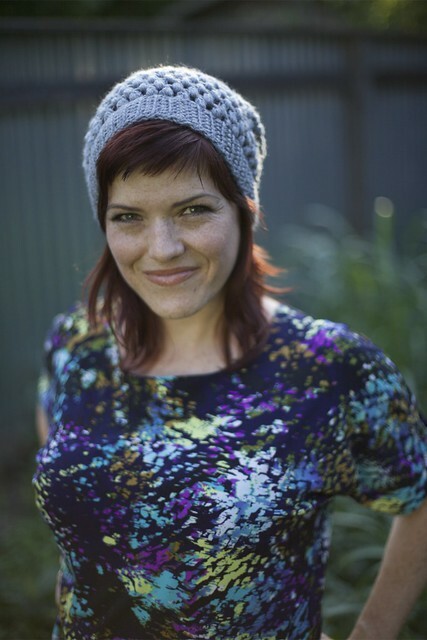 Hat season will be here in a month or so, but it's never to early to wear a hip slouchy hat like this cool design. By using a puff stitch throughout the body of the hat, bordered by a ribbed band, you can make your own! One size US H-8 (5mm) crochet hook, or size to obtain gauge. This beautiful and stylish top comes from the works of designer Kim Guzman, Light, airy, and with a summer vibe, this looks amazing over a simple tank top or cami! 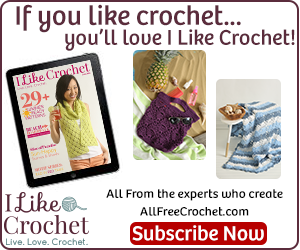 I am a huge fan of the crochet pineapple design and this pattern does not fail to impress!